Richard Collins III murder being investigated as hate crime. 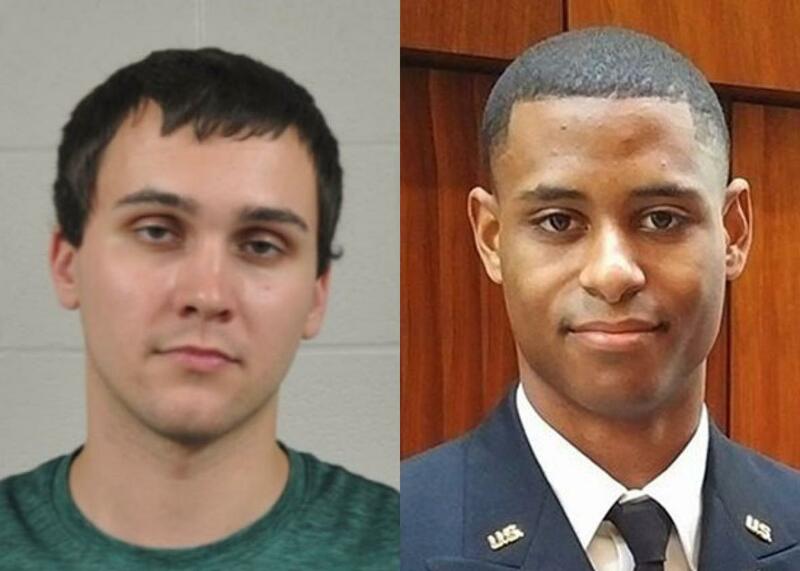 Sean Urbanski, Richard Collins III. Photo illustration by Slate. Photos via University of Maryland Police, Richard Collins III/Facebook. On Sunday, University of Maryland police chief David Mitchell announced that the FBI had been called on to assist in the investigation of the murder of black visiting student Richard Collins III as a hate crime. Mitchell’s suspected killer Sean Urbanski, who has been charged with first and second degree murder and first degree assault, is a member of a racist Facebook group called Alt-Reich Nation. Collins’ friends told police they heard the suspect scream as he approached them. The suspect said “Step left, step left if you know what’s best for you,” police wrote in charging documents. Collins said “no,” police wrote. The suspect continued to approach, and stabbed him once in the chest. Collins was due to graduate from Bowie State University on Tuesday. He was 23 and had just been commissioned as a lieutenant in the U.S. Army.